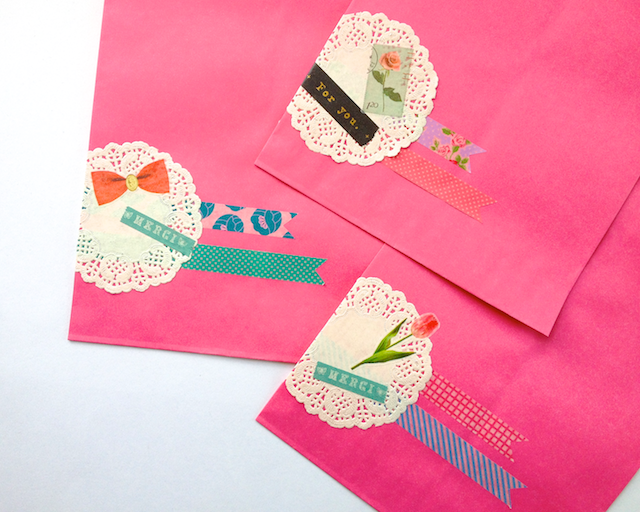 These envelopes left me itching for more, so I thought I'd try the look on paper bags too. 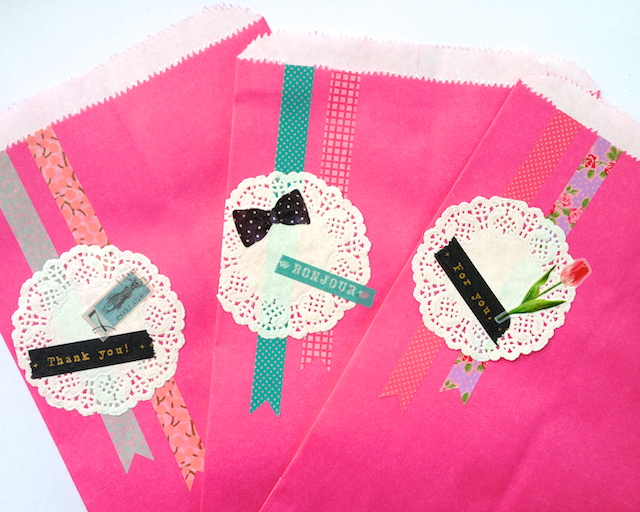 Perfect for wrapping up something special - we'll be using these to package this year's Surprise Packs. Yep, Surprise Packs - they'll be in the shop next Tuesday - our favourite way to celebrate Omiyage's birthday, and a great way for you to treat yourself to something fun! 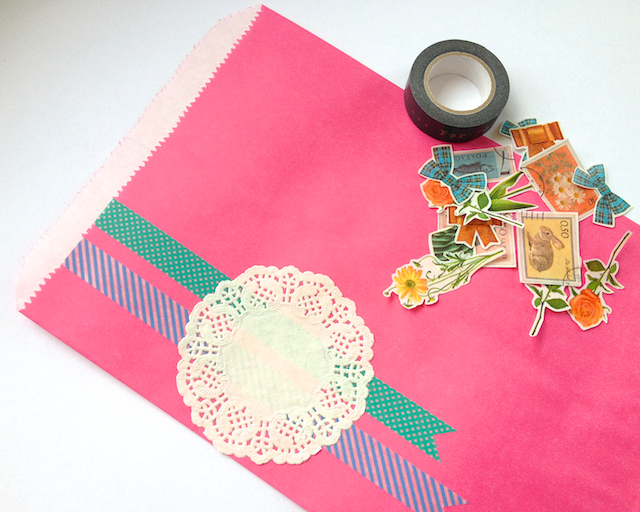 You'll need a paper bag, a few rolls of washi tape, a mini paper doily and, of course, some washi tape stickers. Learn the simple trick to making your own here. 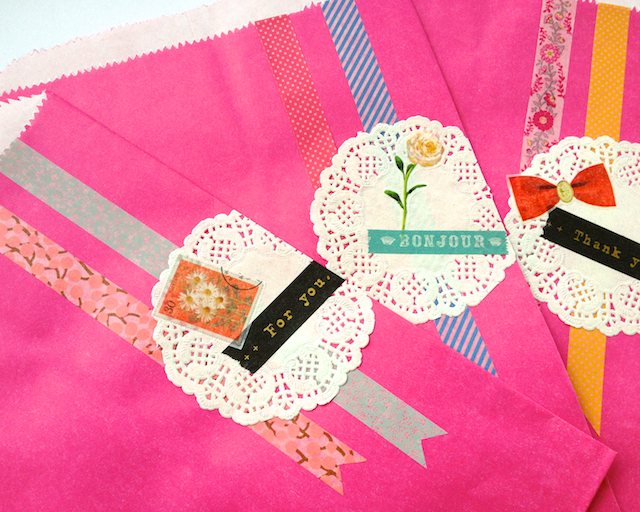 A couple strips of washi tape, notched at the ends for a more ribbon-y look, create the base for this look. Next, glue on your doily. I like spray glue for this - trying to use a glue stick on a paper doily is a pretty messy endeavour. 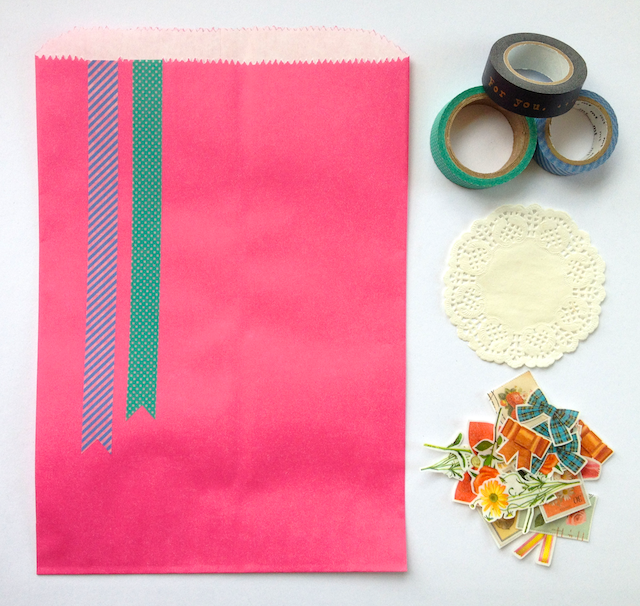 Try different positions or even wrap your doily around the side of the bag. 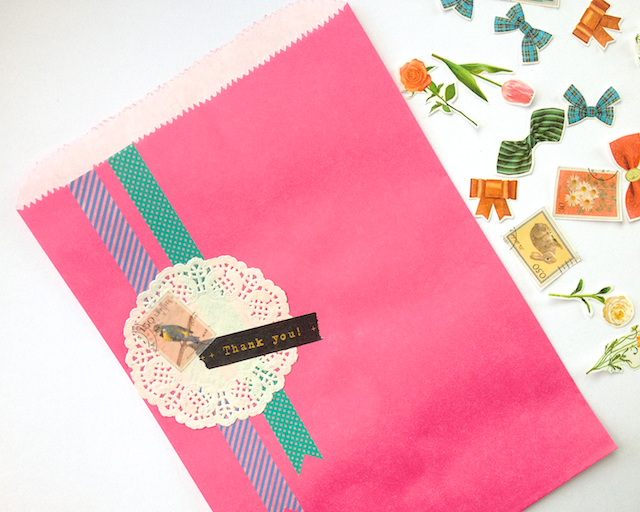 Then layer on a strip of message washi tape and one (or more) of your washi tape stickers. Instead of message tape, you could write your own text on a strip of tape (these are my favourite for writing on washi tape) or even try our technique for transferring text to tape. Or different positions for your details. What do you think? 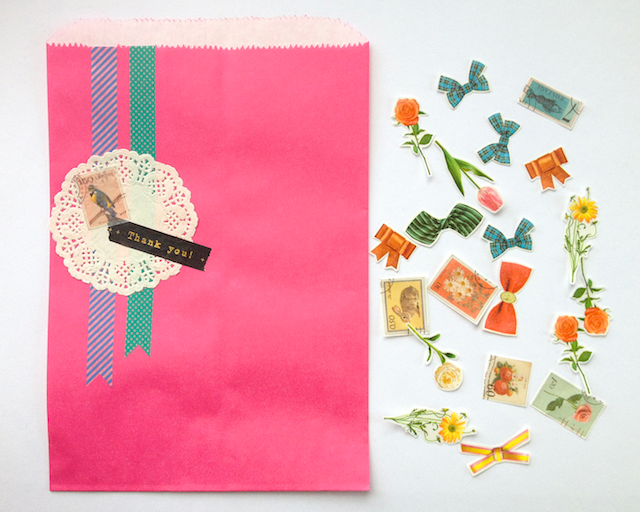 How do you dress up basic paper bags?